One of the things I love most about being a musician is the opportunity to travel and make new friends, and 2016 was certainly rich in opportunities. 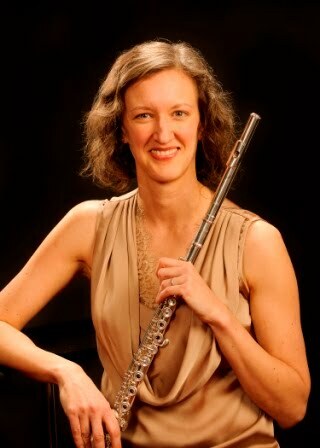 February was the beginning of my travel with a presentation at the Mid-Atlantic Flute Convention in Virginia. I gave a workshop, "Finding Our Inner Voices as Flutists", which precipitated my slow-moving work on a tone workbook based on vocalises (more on that soon, I hope!). While I was there, I also gave master classes at Virginia Commonwealth University and George Mason University, where fabulous teachers Tabatha Easely and Julianna Nickel (respectively) have two very positive, talented flute studios. In April I taught master classes at the Oklahoma Flute Society Flute Fair and University of Southern Mississippi, and in September the Montana Flute Association sent me on a whirlwind tour including stops in Missoula, Great Falls, Malta, and Billings. I was and am always so grateful for the warm hospitality I am treated to by hosting teachers and their students alike, everywhere I go. Anyone who says the music world is cold just hasn't looked in the right places yet! Talking about breathing at VCU! I traveled with my chamber group, Verismo Trio, to lovely University of Jamestown in January (really, it was lovely, just shockingly cold). I don't know that I've ever visited a small town with a population so totally happy to be from there! We also served as the resident ensemble for the New Music Festival in Kearney, Nebraska, where we were lucky enough to hook up with composers Anthony Donofrio and Jason Emerson, whose music we had already been playing for ages. 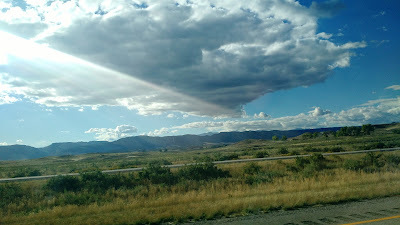 In the fall we stayed closer to home with concerts in Sheridan and Casper, Wyoming, where it was wonderful to reconnect with old friends and meet a couple of news ones, too. Our most exotic gig might have been Southern Arkansas University, where we were part of the festivities for their first-ever saxophone festival (a very different animal than a flute festival!) and we each ate our weight in fried food. Even the green beans were fried. At University of Wyoming, we organized some great instructional videos on the All-State audition materials, in keeping with our mission to serve the greater musical community of Wyoming, and got some wonderfully appreciative feedback for our efforts. And while hunched over the computer here and there, I have begun a collaboration with Alry Publications to publish my transcription of a fantastic Dvorak violin sonata along with poking through a new kind of tone book, as mentioned above, which I hope to have ready for preview in the coming months. In 2017, look for me, often generously sponsored by Altus Flutes, at the Women in Music festival at Mississippi University of Women in March and giving master classes at colleges in Pennsylvania and Alabama, so far. My full schedule is continually updated on my website here.